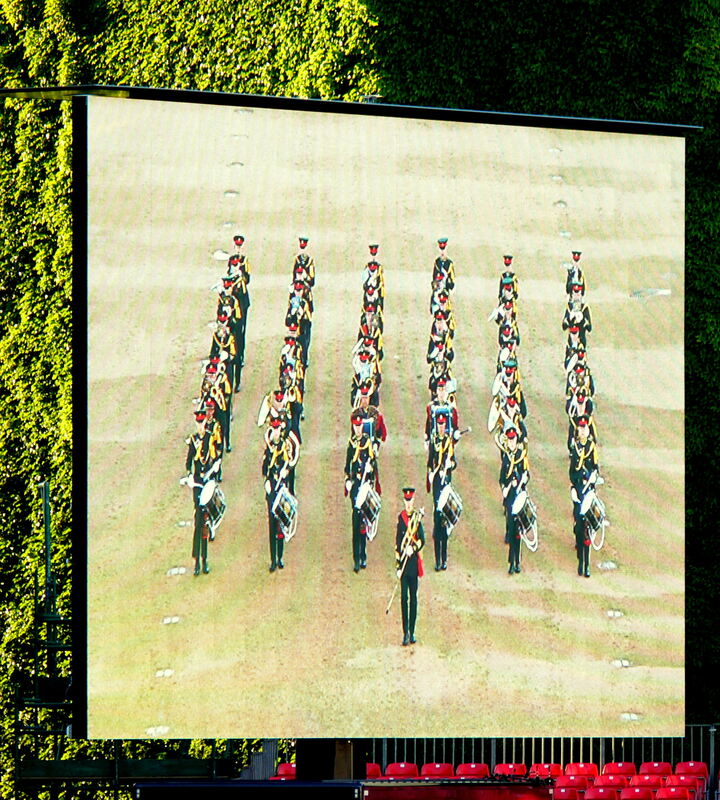 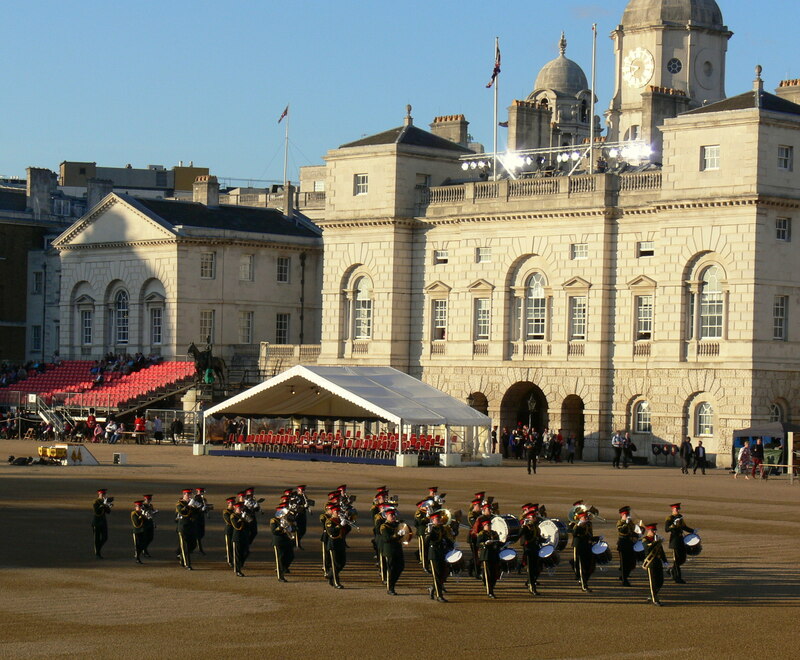 The Romford Drum & Trumpet Corps were invited to open Beating Retreat 2015 at Horseguards Parade, London which we last appeared at in 2013. 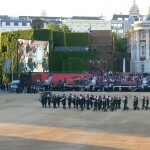 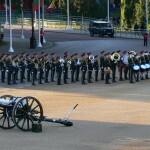 This year was themed around the 200th Anniversary of the Battle of Waterloo so it had a strong historical prominence, and situated against the backdrop of St James’ Park. 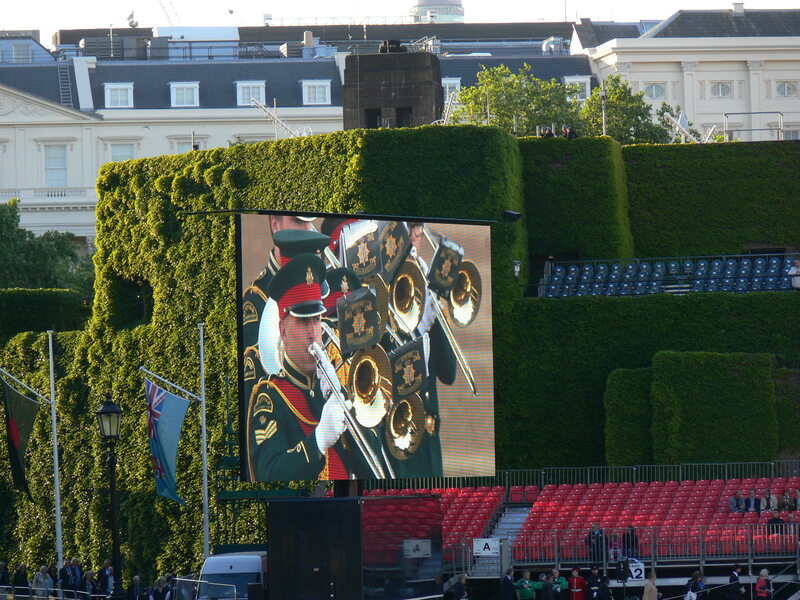 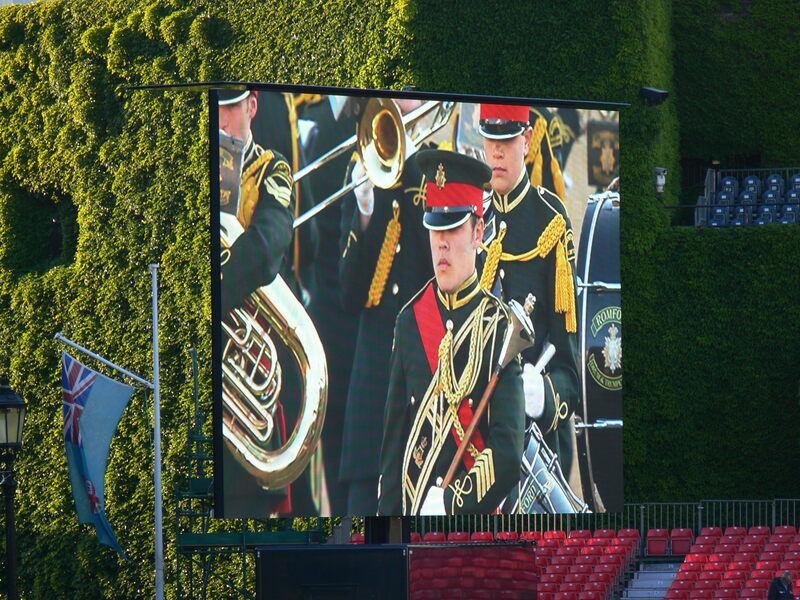 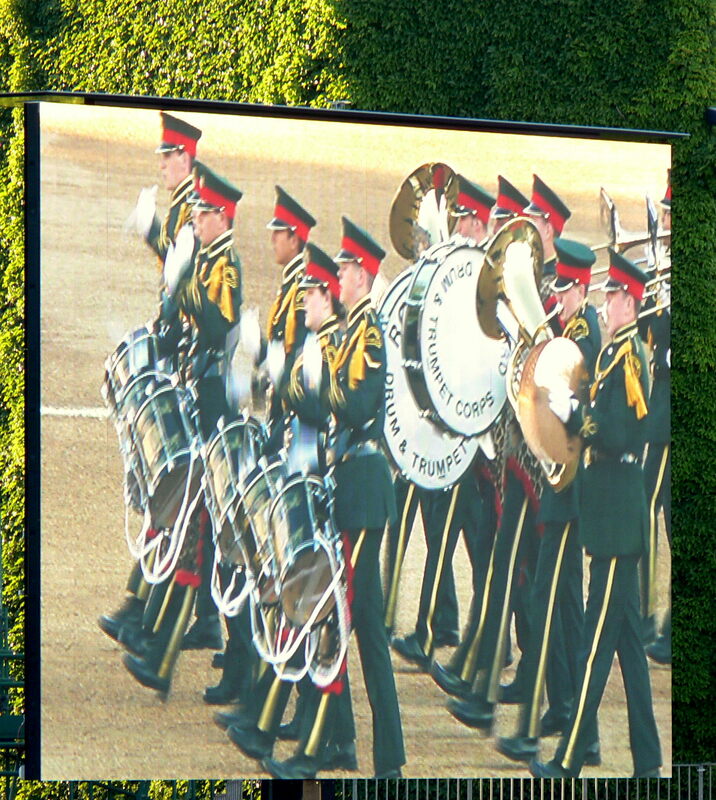 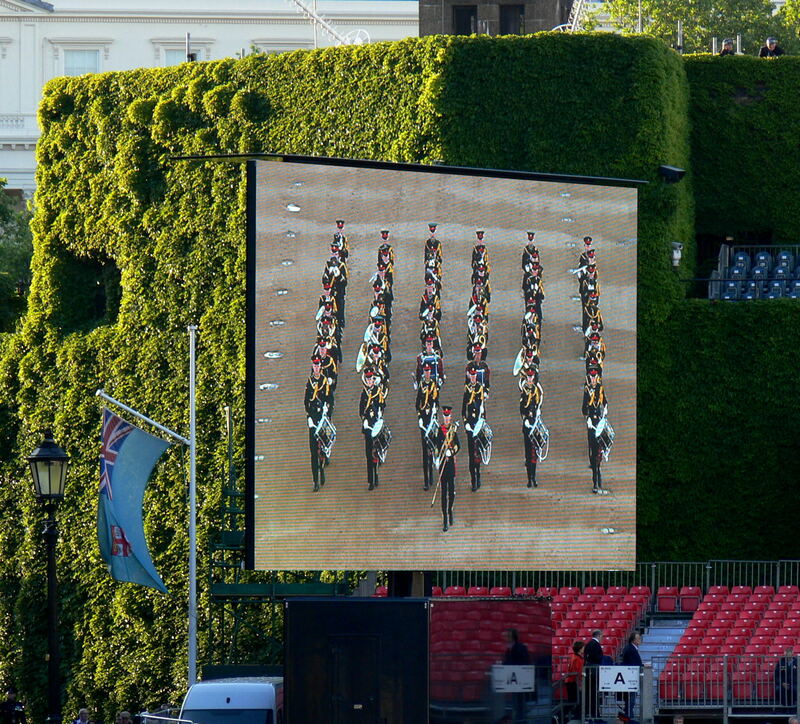 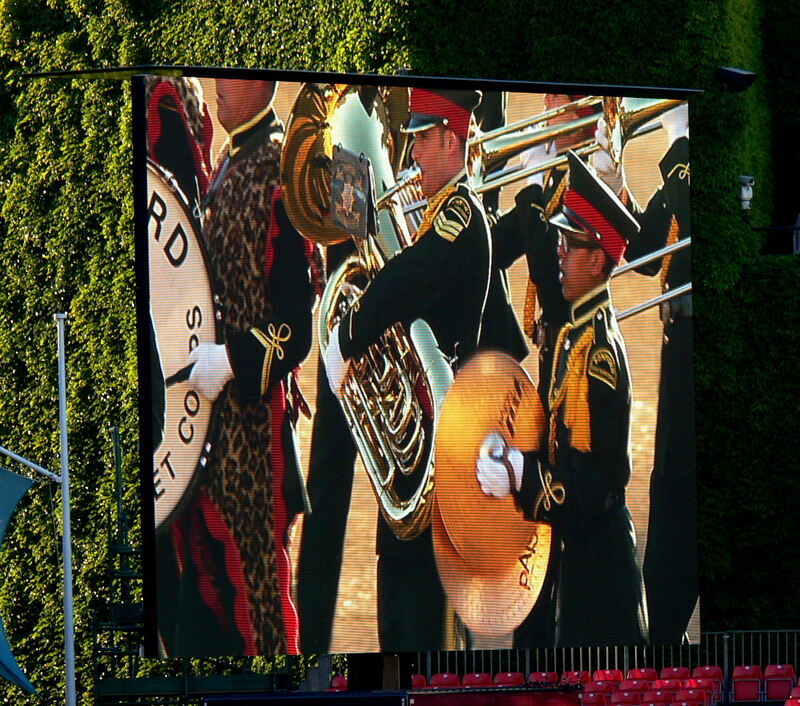 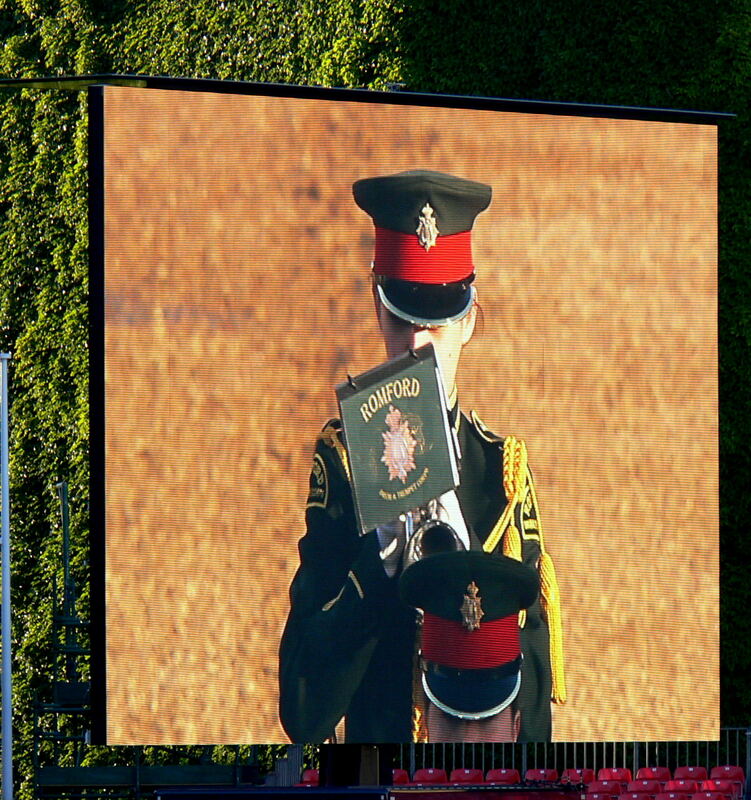 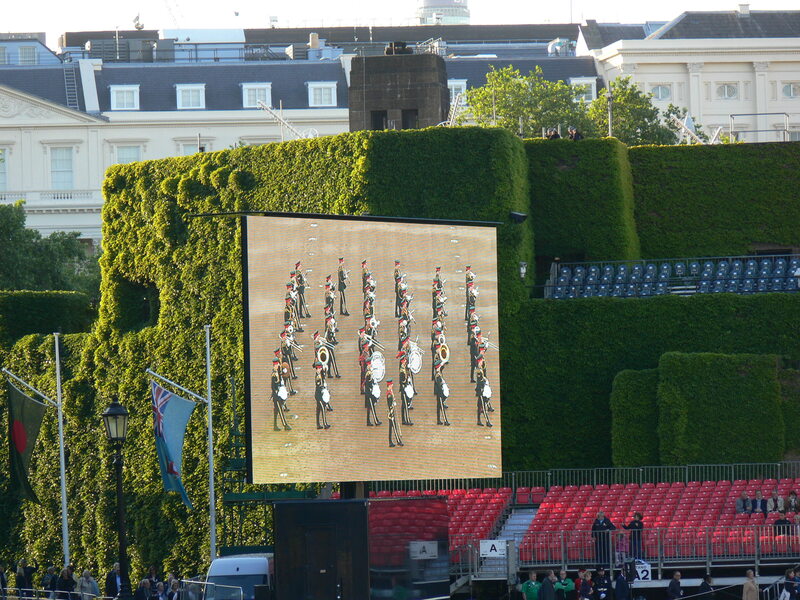 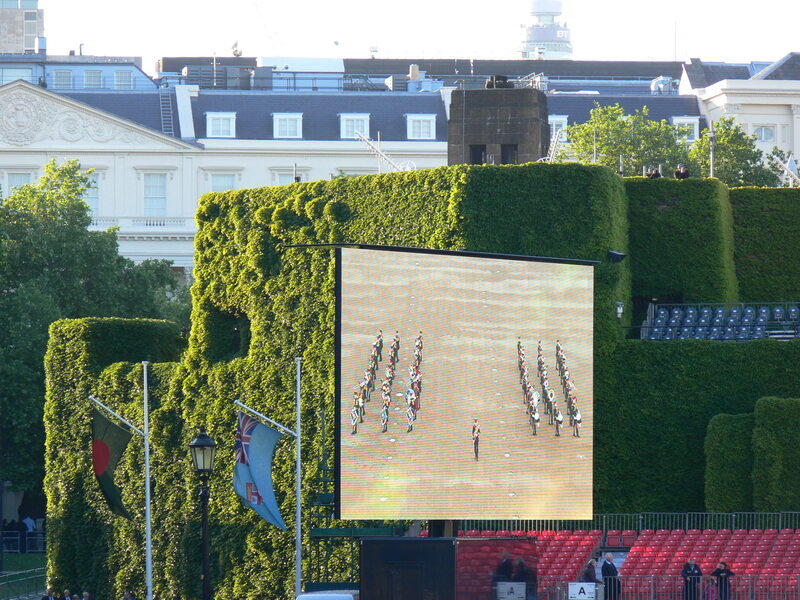 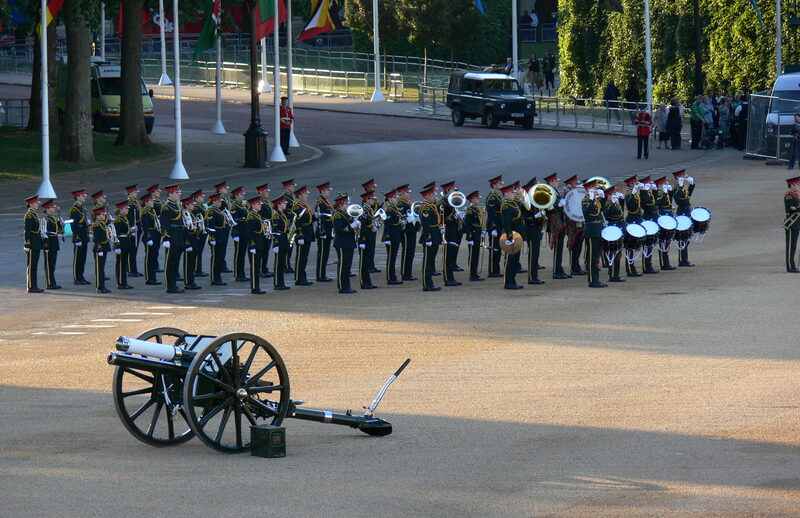 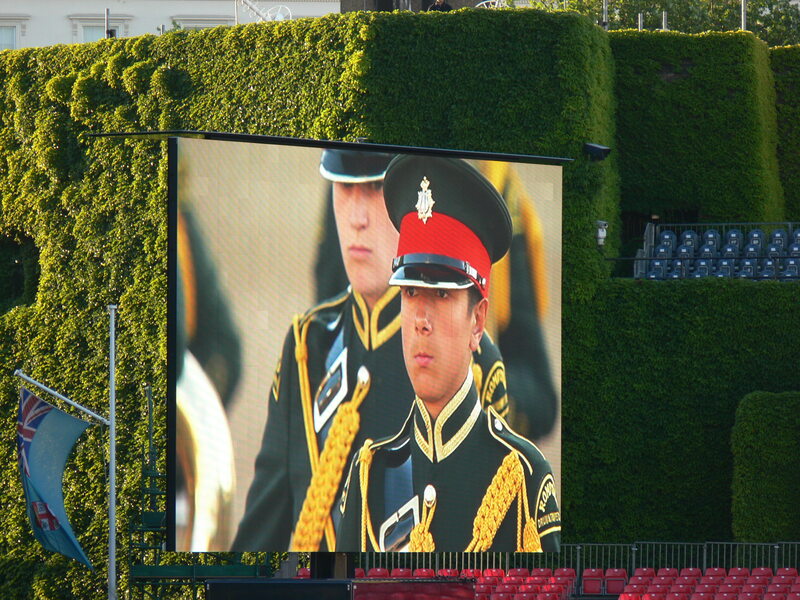 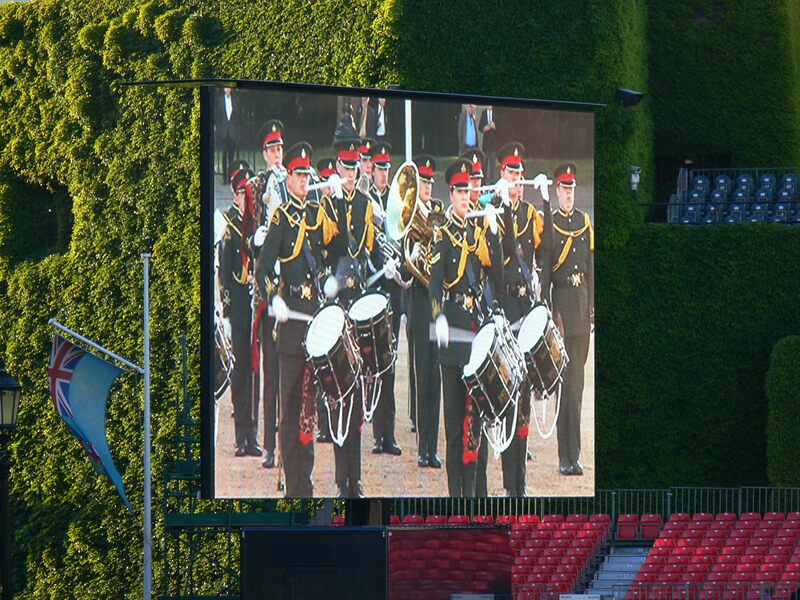 The band last appeared at Beating Retreat in 2013 and we thoroughly enjoyed it two years ago, so all of the members we’re looking forward to going back for the two night event. 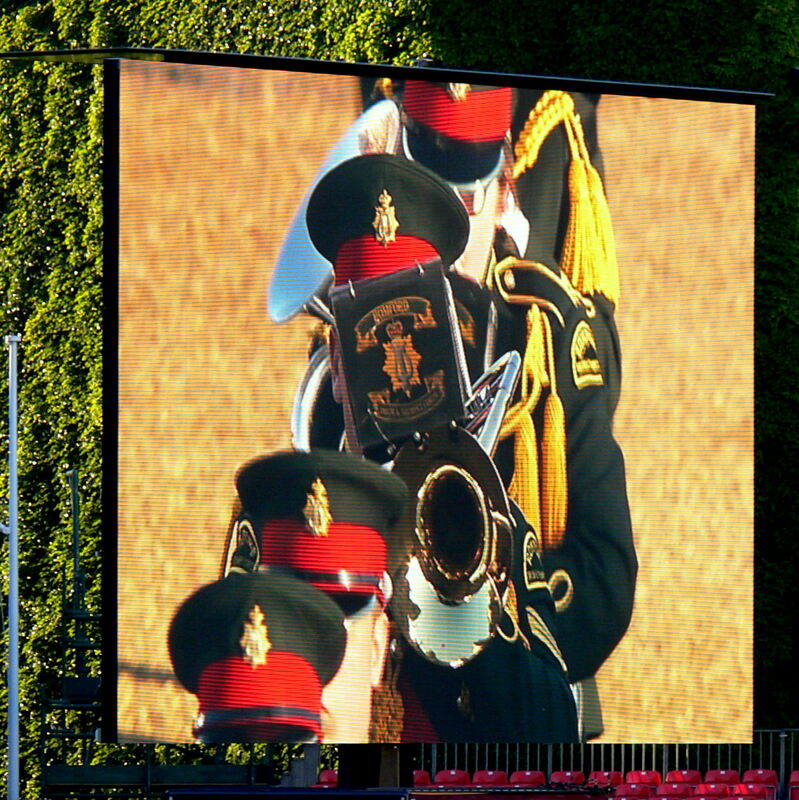 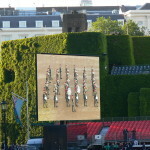 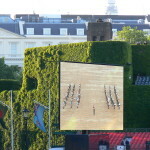 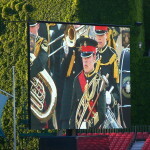 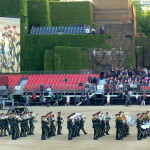 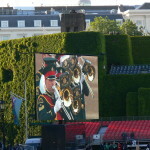 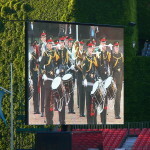 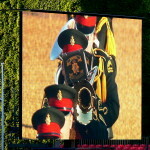 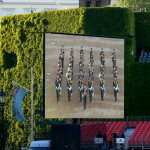 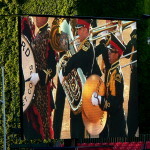 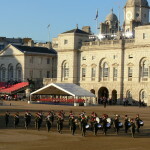 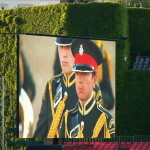 The event itself featured music from the Massed Bands of The Household Division and a military re-enactment of the Battle of Waterloo. 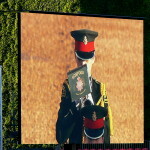 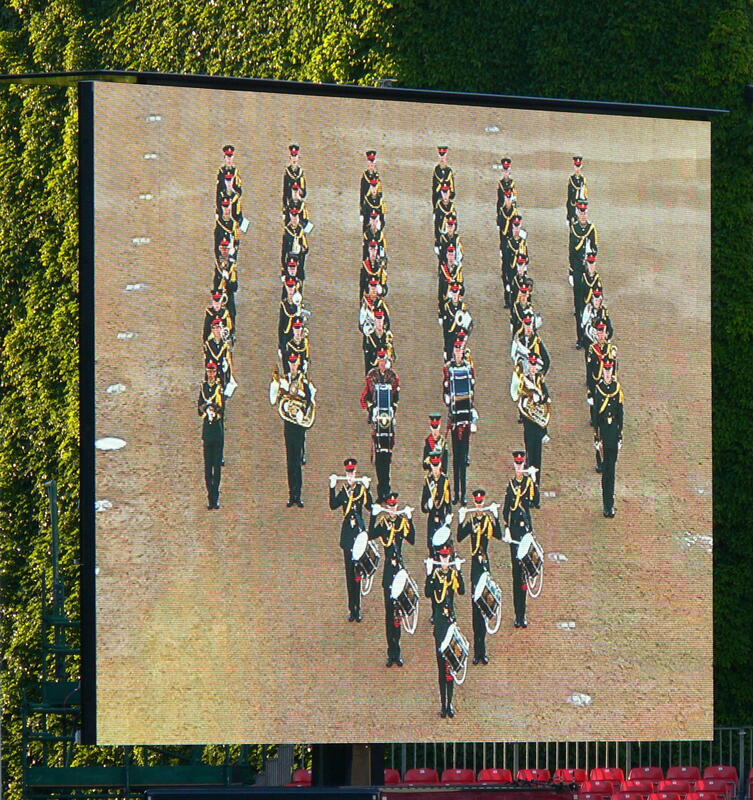 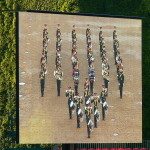 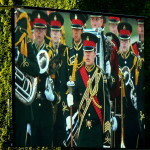 The Band had a 20 minute programme to put on for the audience so we combined some traditional miltary marches and a 2015 chart hit. 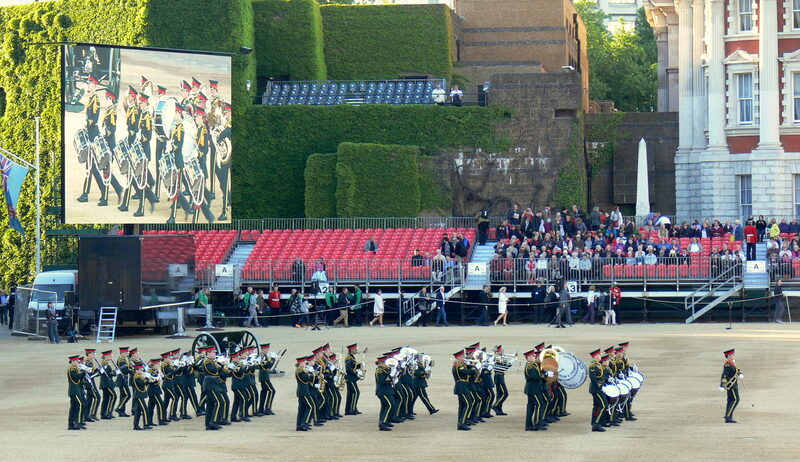 We opened with a quick march – Great Little Army – followed by Imperial Echoes where the band started to show its experience of visual displays. 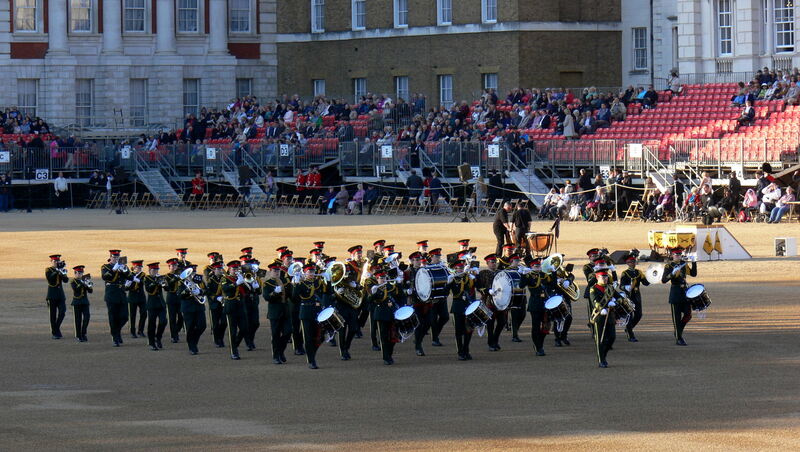 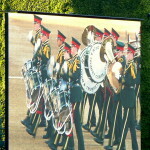 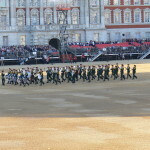 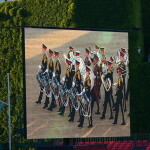 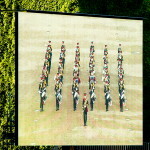 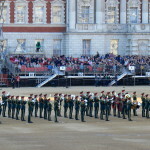 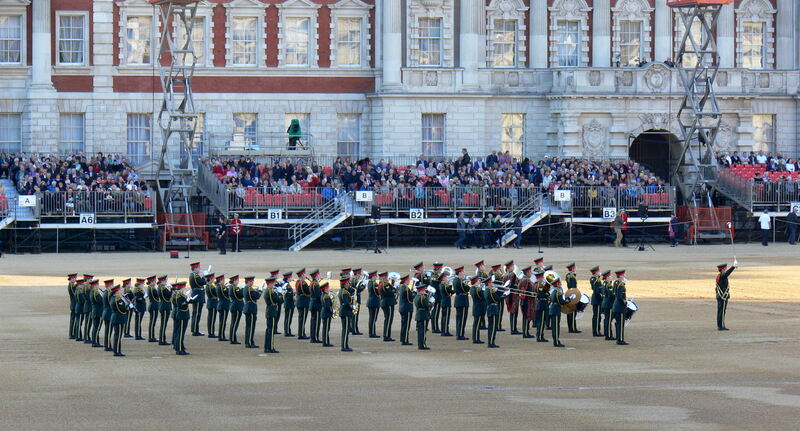 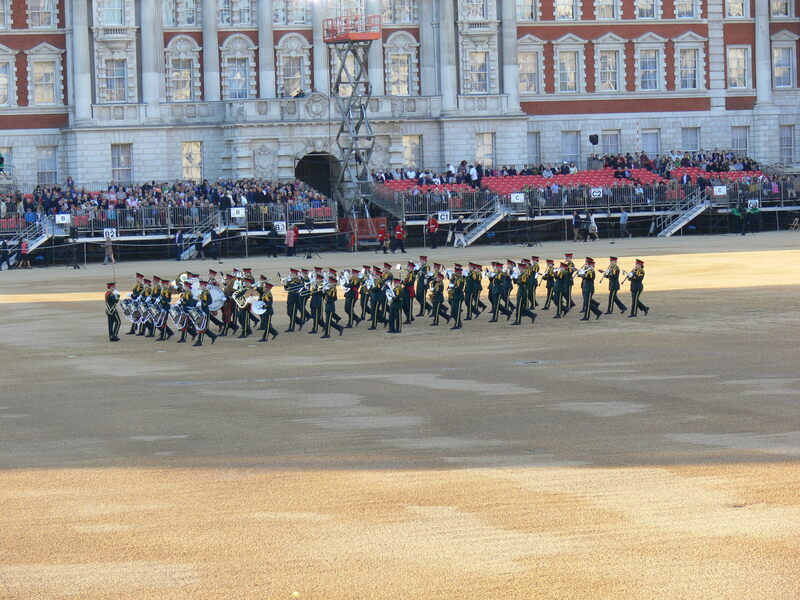 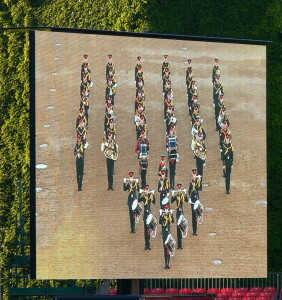 Alternating sections of the band mixed slow and quick marching before breaking into a slow march – Royal Standard. 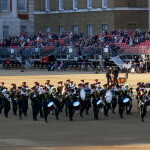 At this point, our drum section moved forward to show their precison of playing and stick movement, before the band brought things up to date with the chart it “Uptown Funk” – a 2015 hit from Pharell Williams. 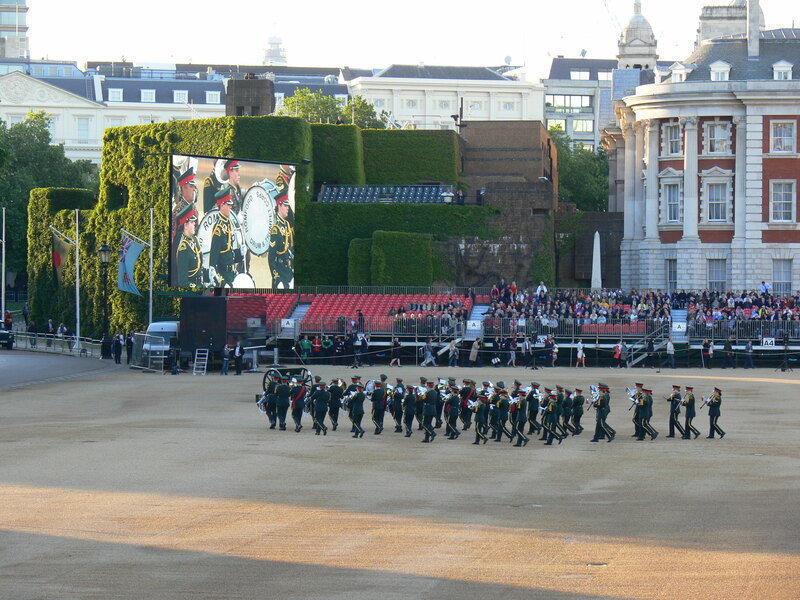 Bringing the performance up in tempo, the band finished their display with Zorba (The Greek) often performaned by The Band of the Brigade of Gurkahs. 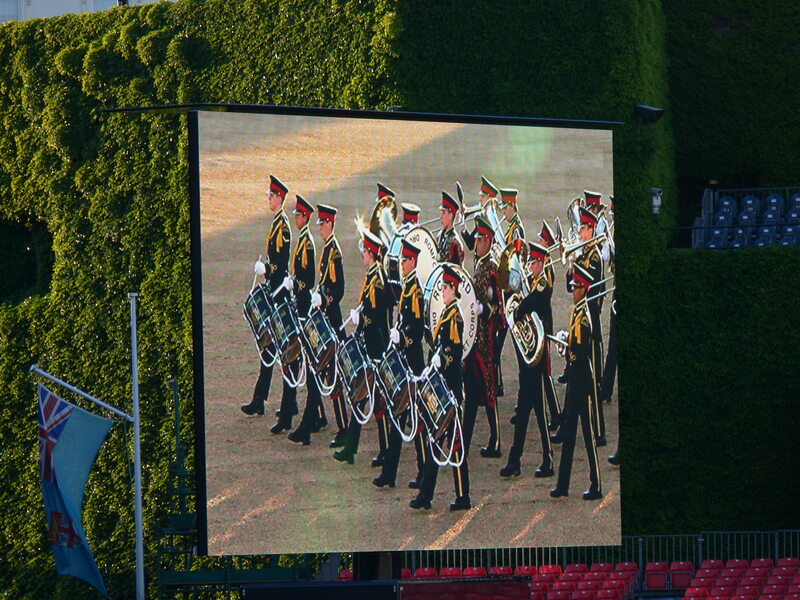 It started with a very slow march, moving one step at a time and as the piece progresses, so does the tempo along with the band’s marching, where it finished at around 150-160 bpm. 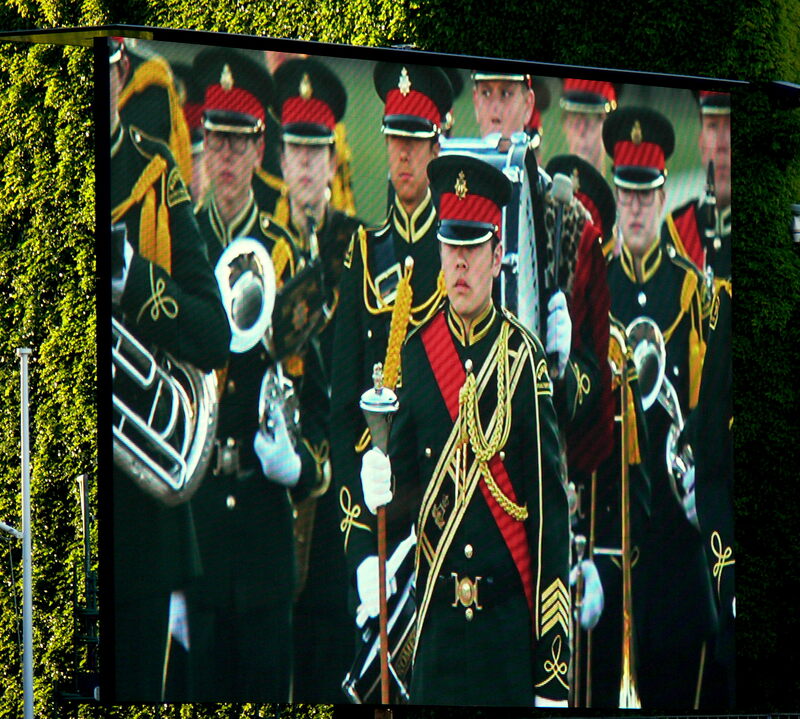 The band were well received in person and on social media and the members were also full of excitement after both nights, a job well done!